Oh, hi there! What a wonderful day, am I right? I'm pretty tired though, but still. 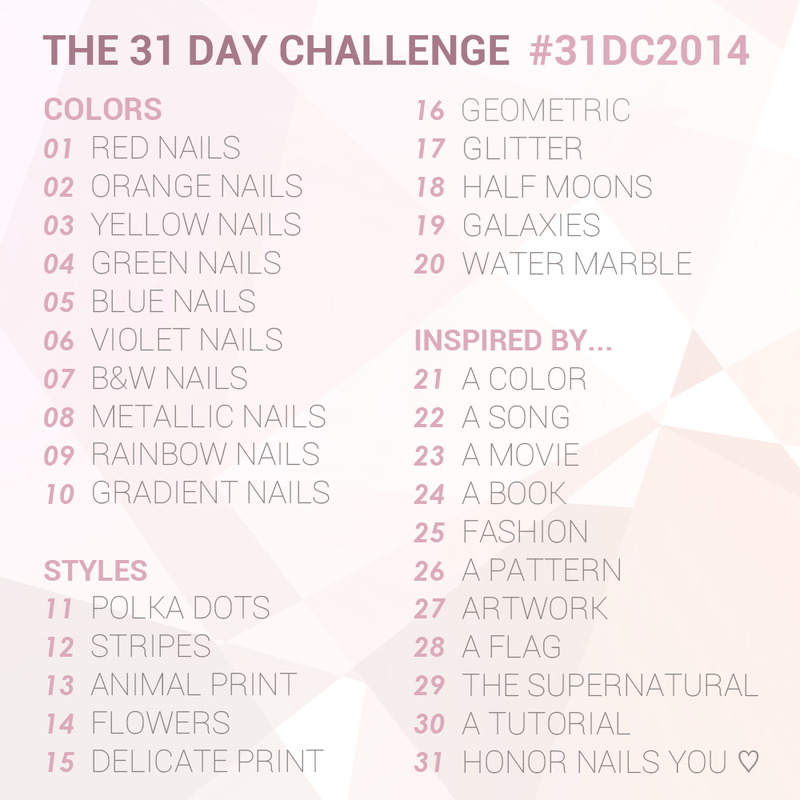 I'm still behind on the 31 days challenge, but I hope I can catch up during the weekend. Today is my second day, which means ORANGE NAILS! I love orange. You probably already knew that. It's not that hard to guess. So, my camera completely hates bright colors like the ones I used today. I can never capture the true brightness in these polishes. Believe me, I've tried. Today I used Lime Crime Peaches ♥ Cream as my base. 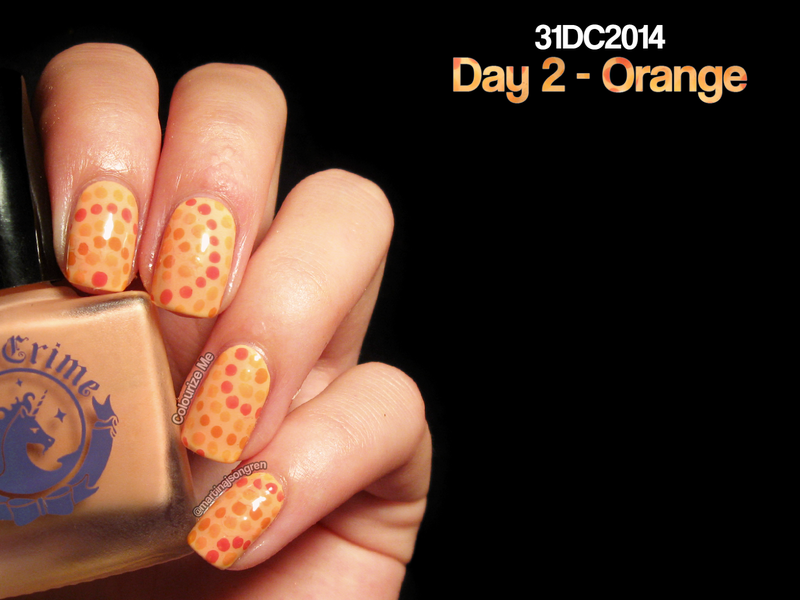 It's a bright pastel orange that covers in two coats. Unfortunately my pictures doesn't capture the shade correctly either, but I've tried to adjust the photos in Photoshop. Still not completely accurate though. ANYWAY. 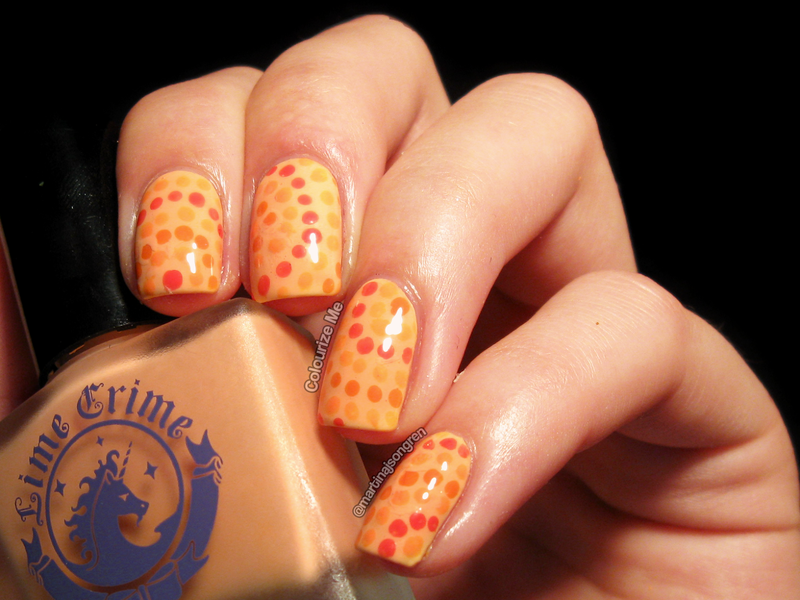 Then I made dotted circles with a dotting tool using China Glaze Papaya Punch, Models Own Beach Party and OPI Brights Power. I really like how this turned out! I'm starving now so I'm going to eat some soup! See you tomorrow babes!